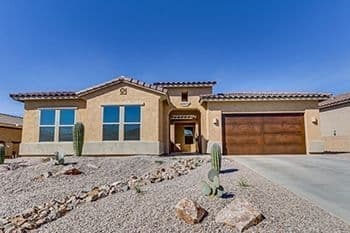 Dove Mountain Homes for Sale with Pictures, Maps & Dove Mountain Community Information below, or Learn More About the Laura & Tim Sayers Team. Dove Mountain is a Resort Style Community nestled against the Tortolita Mountains in Marana AZ just north of Tucson Arizona. 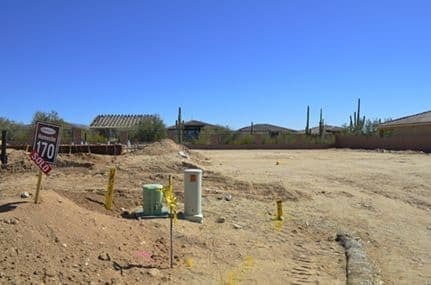 There are several distinct neighborhoods within the Dove Mountain Community including Canyon Pass, The Resort (Homes at the Ritz Carlton Resort), The Preserve, Dos Lagos, The Highlands (formerly Heritage Highlands) and the new Del Webb neighborhood to name a few. 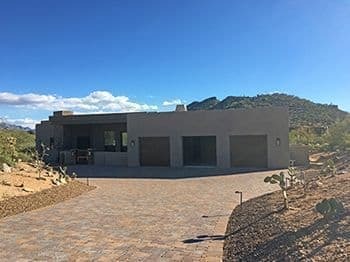 Start your Dove Mountain Home Search now by using our simple one-click Links below. 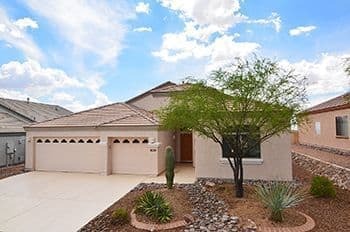 Get to know why SoldDoveMountain.com is the most accurate and informative website for the Dove Mountain Real Estate Market. 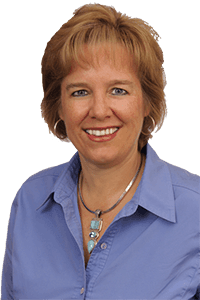 Contact Laura & Tim Sayers about Selling your Dove Mountain Home. 13948 N. Running Creek Ct.
12589 N Fallen Shadow Dr.
12595 N. Fallen Shallows Dr.
6520 W Whispering Windmill Ln. 13274 N Heritage Gateway Ave.
Another Happy New Home Buyer! 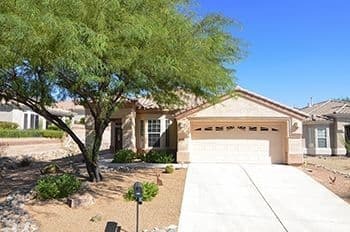 Here is a Lovely couple from Illinois that just wrote and got an accepted offer on a Quick-Move-in Home in Del Webb at Dove Mountain. They Selected a Quick-Move-in Home with a Beautiful Kitchen. They wanted to move in quickly and loved the interier design of their new home. 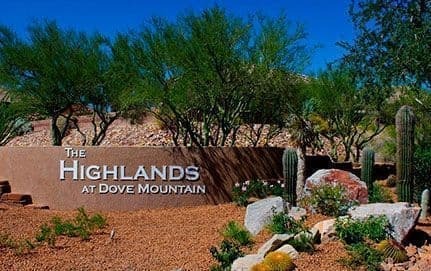 The Highlands at Dove Mountain is a Gated Retirement Community nestled in the foothills of the Tortolita Mountains. Homeowners here enjoy all the benefits of a Resort Style Active Adult community with a Pool, Golf, Pickle Ball & Fitness Center. 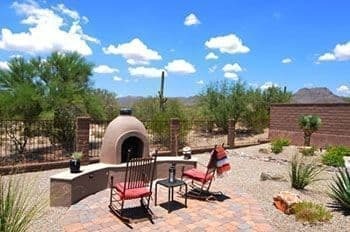 Call Me Today if you'd like to see Homes for Sale in The Highlands at Dove Mountain or in any Dove Mountain Community. 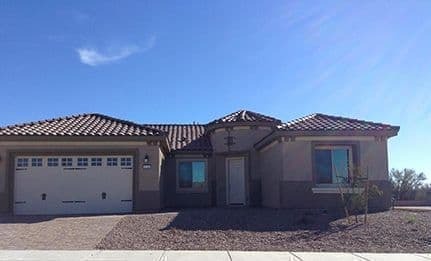 Our Clients were so happy to purchase this new construction home in Del Webb at Dove Mountain for $441,990. Del Webb is a beautiful retirement community where they are building gorgeous new homes. This home backs to the 9th Fairway of the Gallery Golf Course. I can also help you buy a brand new home in Del Webb. Just give me a call. Our Clients were happy to purchase this home in The Preserve II at Dove Mountain for $300,000. 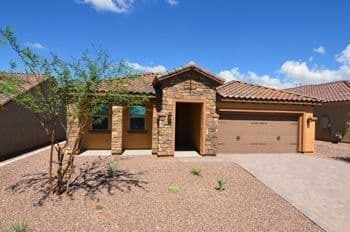 The buyers chose this home featuring Catalina Mountain Views and a Split Bedroom Floor Plan for added Privacy. 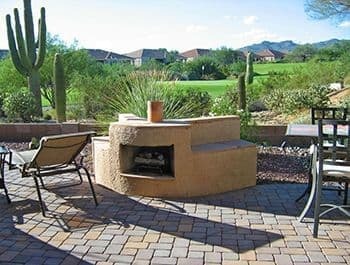 Call me NOW to see homes for sale in The Preserve or any other neighborhood in Dove Mountain. 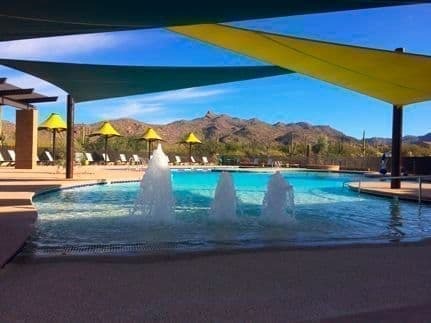 The Saguaro Center is Del Webb at Dove Mountain's brand new recreation center. The pool features Tortolita Mountain views and an easy access "beach entry". Swim laps, attend a water aerobics class or simply float and relax. 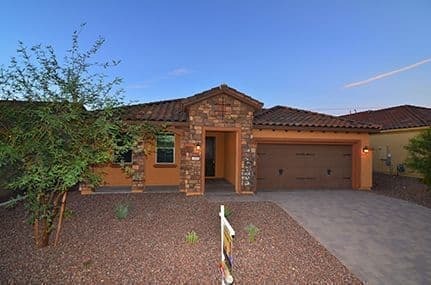 Call me today if you want to see homes for sale in the Dove Mountain area. 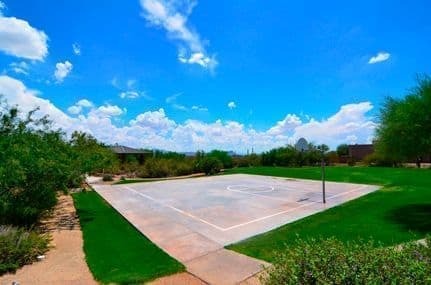 The Preserve at Dove Mountain has its own neighborhood park with a Basketball Court, Ramada, Dog Park, Play Ground and Grass. It is a great spot for a picnic or to let the dog romp around off leash. 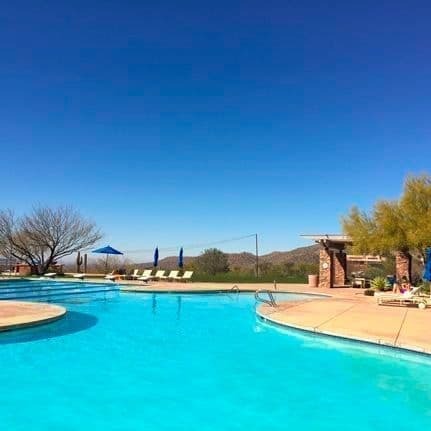 With local temperatures in the 80s, it’s time to relax pool side at the Gallery Sports Club in Dove Mountain. Swim laps in the Olympic sized lap pool or just float in the recreational pool. Views, sunshine and a swimming pool make a great way to spend an afternoon. Our Dos Lagos at Dove Mountain home listing on the 17th fairway of the Gallery South Golf Course was purchased for $625,000. 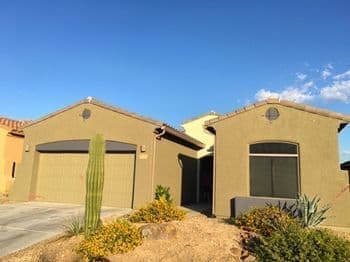 Once again, the Buyers found this home on our website SoldDoveMountain.com and contacted us to schedule a showing. The Buyer was then professionally represented by Mike McCaul, a Buyers' Specialist on our team. 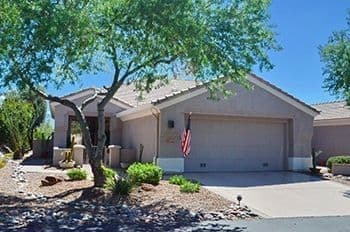 Call Us NOW (520-390-6000) to list your Dove Mountain home with us or to learn about the benefits of our highly successful internet marketing campaigns. 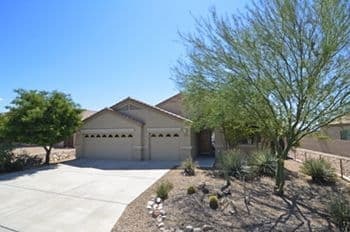 Our Del Webb at Dove Mountain home listing was purchased for $270,000. 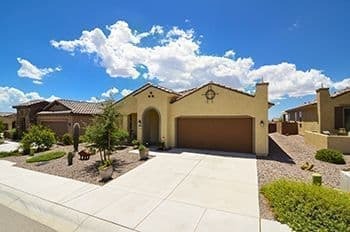 Our expert marketing attracted the buyer who contacted us through our website SoldDoveMountain.com. The Buyer was then professionally represented by Mike McCaul, a Buyers' Specialist on our team. 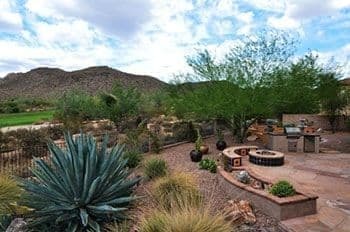 Call Us NOW (520-390-6000) to list your Dove Mountain home with us or to learn about the benefits of professional representation in the purchase of your new home. 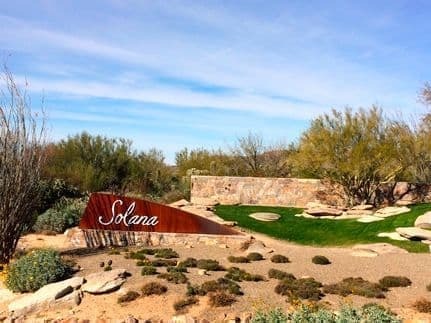 The Golf Villas at Solana is a small enclave of 20 homes in a gated setting. The homes range in size from about 2300 to 2700 square feet and are priced in the 500's. Most homes offer golf course or tortolita mountain views. 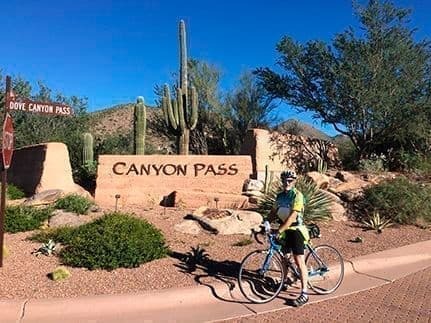 Mike and Tim enjoyed a great bike ride through Dove Mountain enjoying the beautiful scenery. We stopped for a brief rest at the entrance of Canyon Pass, one of our favorite Dove Mountain neighborhoods. 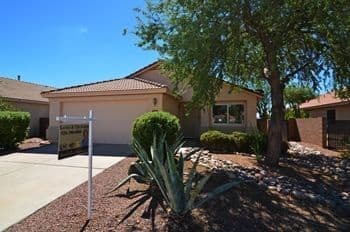 Call us today if you'd like to see homes in Canyon Pass. 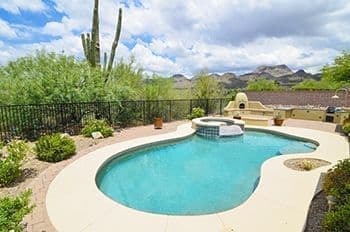 SoldDoveMountain.com shows you all the Homes for Sale in Dove Mountain, Arizona listed in the Tucson MLS from every company in town so you don't have to use other websites. 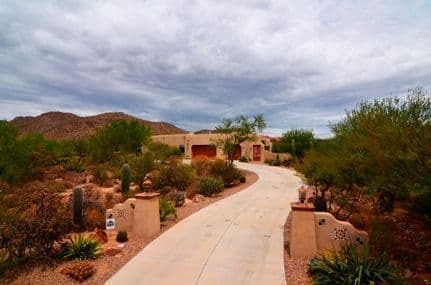 SoldDoveMountain provides accurate and up-to-date MLS listing information from the Tucson MLS. National websites use county records for much of their information. 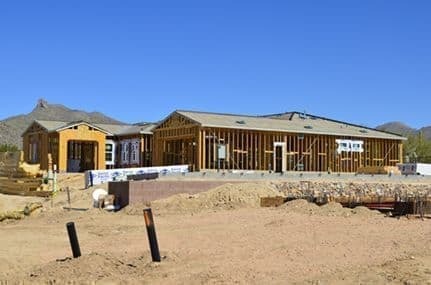 Dove Mountain Home Buyers get frustrated when they learn that the home they found on a national real estate website is not available because it was either sold six months ago or another Buyer found it first and made an offer on the home. A home goes through many stages during the home selling process including Active, Active Contingent, Pending and Sold. Almost all real estate websites display listings for Active Contingent and Pending homes even though they are not available to purchase unless an existing purchase contract falls through. 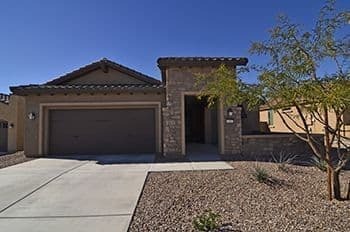 SoldDoveMountain.com displays only homes listed as "Active" in the MLS to minimize the chance that the home you fall in love with is already sold. You want to work with a Real Estate Agent that knows Dove Mountain. 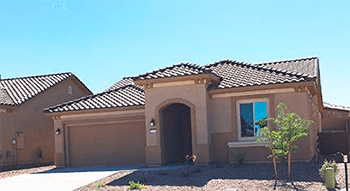 We have been helping Clients buy and sell Dove Mountain Homes homes since it first opened. As Vice Presidents at Long Realty, we run a dynamic team of only highly experienced full time professionals.